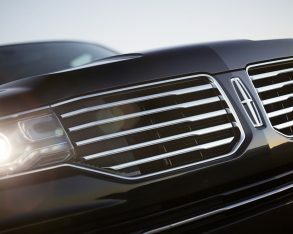 shows a new bisected grille in keeping with the brand’s current corporate image, the result being much less chrome for more conservative styling. 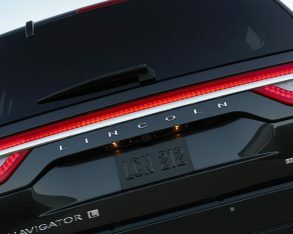 Likewise, the new Navigator’s updated tail end likely won’t incite much excitement either, the design appearing much like other SUVs within the full-size segment. 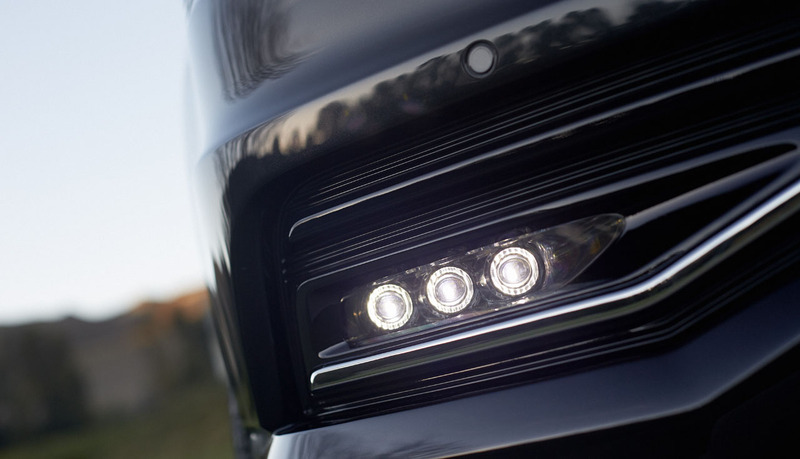 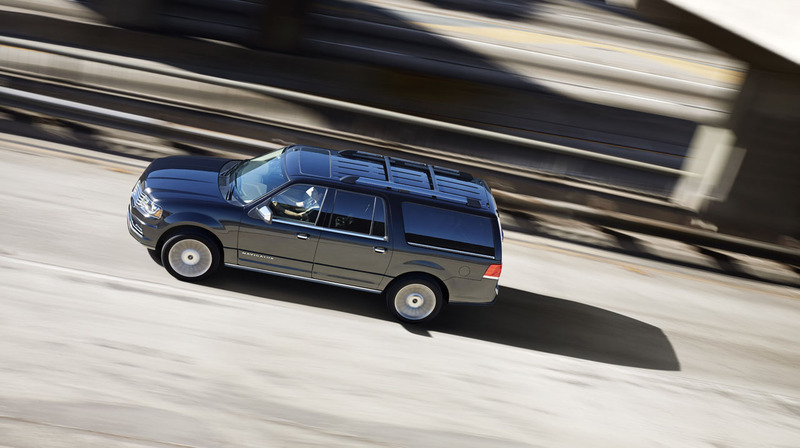 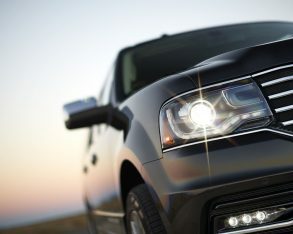 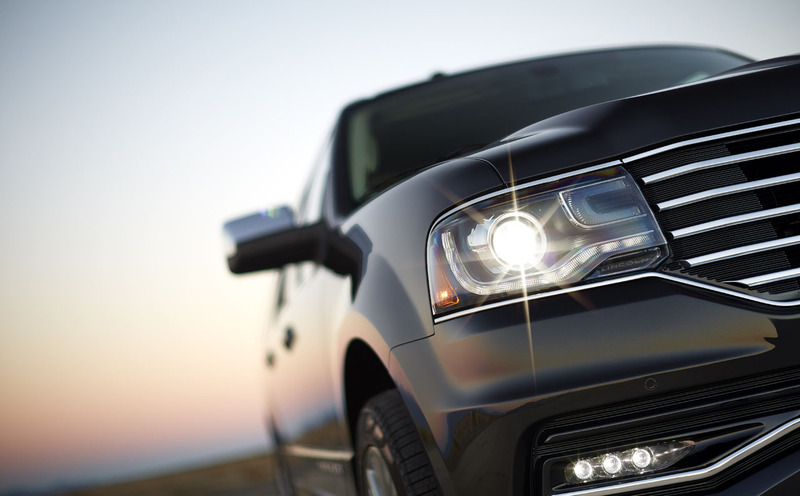 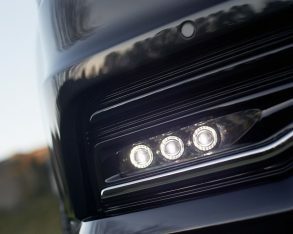 The Navigator’s new exterior now includes HID headlamps with LED running lights, along with full LED taillights. 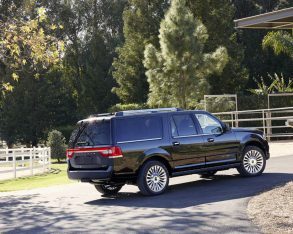 Standard wheels are massive 20-inch alloys instead of last year’s 18s, albeit they look like they’re only just large enough on this larger than life 4×4. 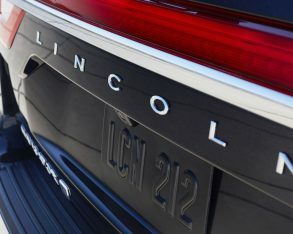 A set of very attractive 22-inch rims is available as part of the "Reserve" package, and just might be the highlight of the overall visual overhaul. 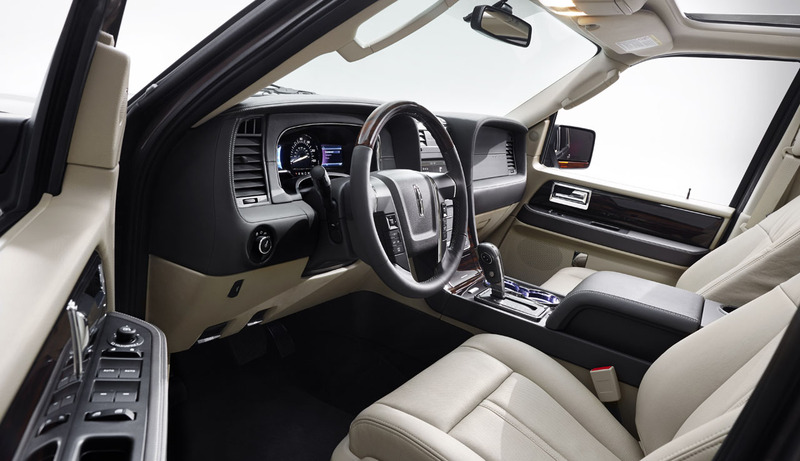 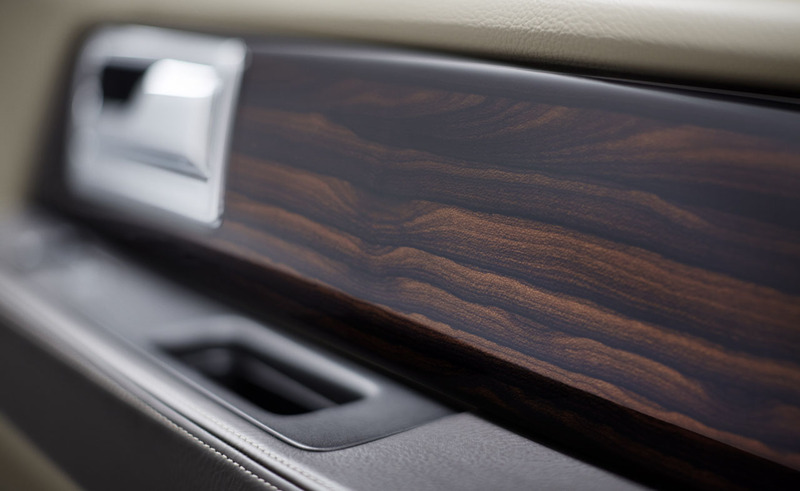 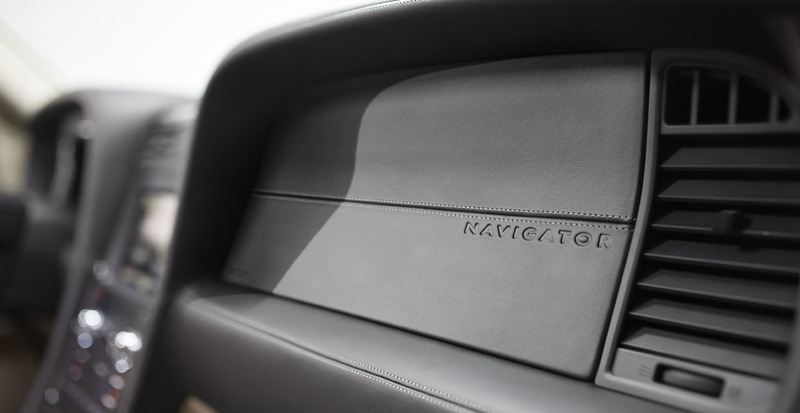 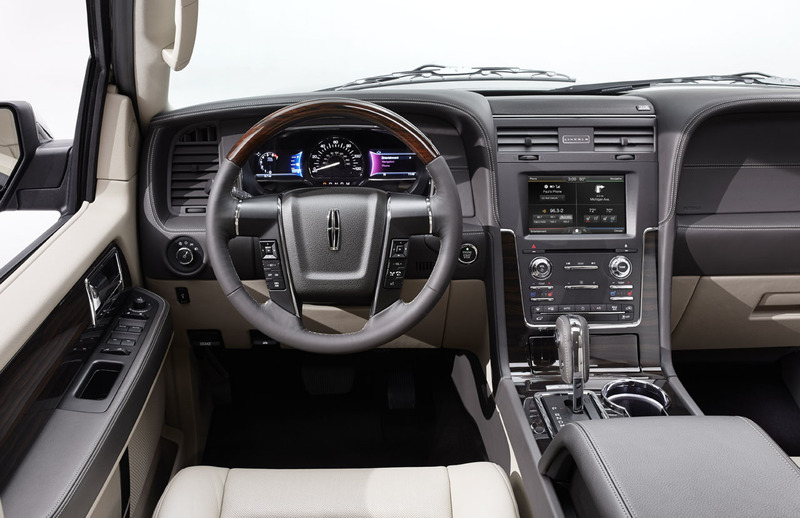 the exterior, the new 2015 Navigator gets an interior redesign with improved plastics quality on most surfaces and authentic Ziricote wood plus metal accents. 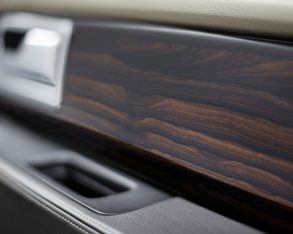 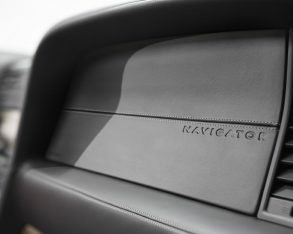 Not all plastics appear to be top-tier quality, however, especially notable on the door panels and parts of the dash that are a less-than-premium-level hard plastic, while the steering wheel, albeit wrapped in Wollsdorf leather and accented with wood trim, is pulled straight out of a Ford F-150 pickup truck. rest of the Lincoln range. 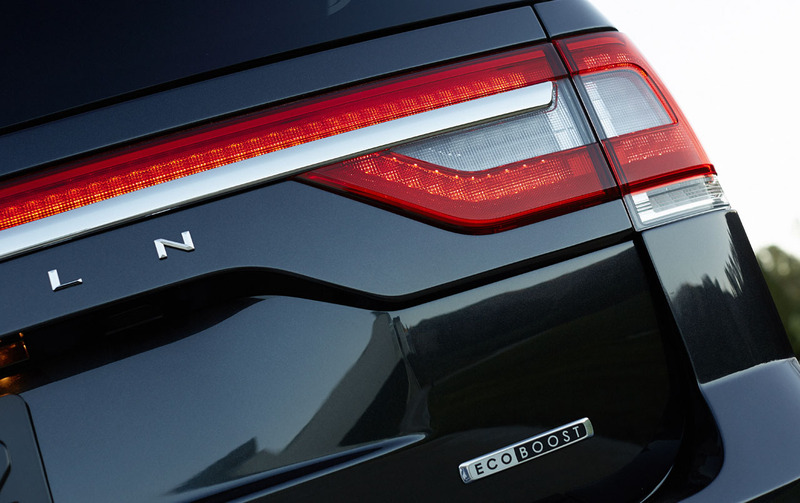 Pushbutton ignition is also standard, as is proximity sensing passive entry. 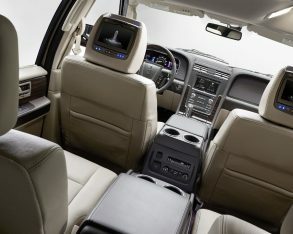 A rearview camera comes on the standard menu too, but driving aids such as blind spot monitoring are optional. 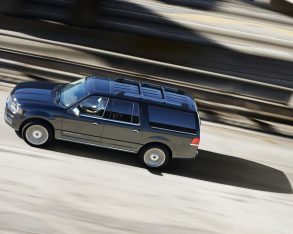 long-wheelbase Navigator L is good for 2,444 litres behind the second row and 3,630 litres behind the first. 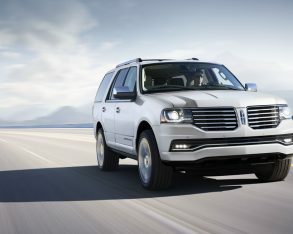 while rear- and four-wheel drive versions will be available south of the 49th; Canadian-specific information has yet to be released. 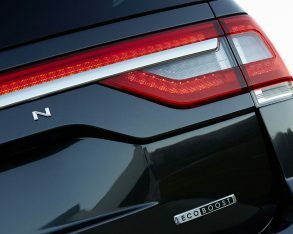 Just the same, both jurisdictions can expect a significant improvement in fuel economy when compared to last year’s V8-powered version. 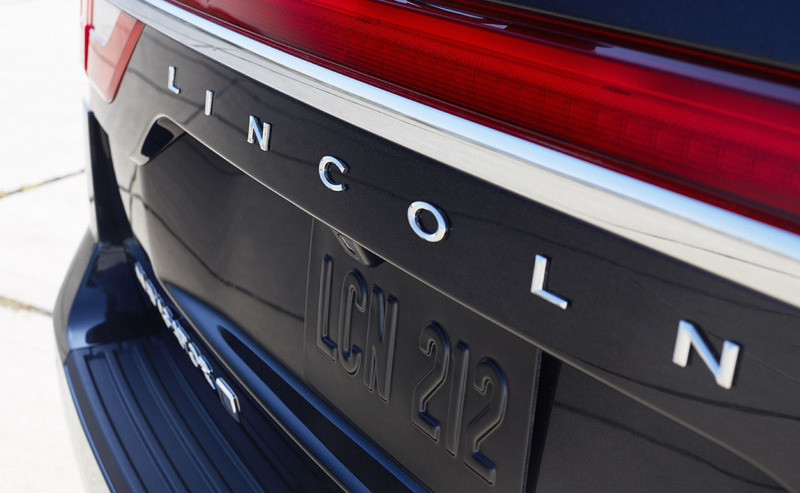 Improving ride and handling, Lincoln will include Drive Control as standard equipment; a system that incorporates continuously controlled dampers to monitor road surface conditions and make adjustments to the ride as needed. 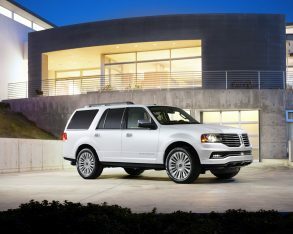 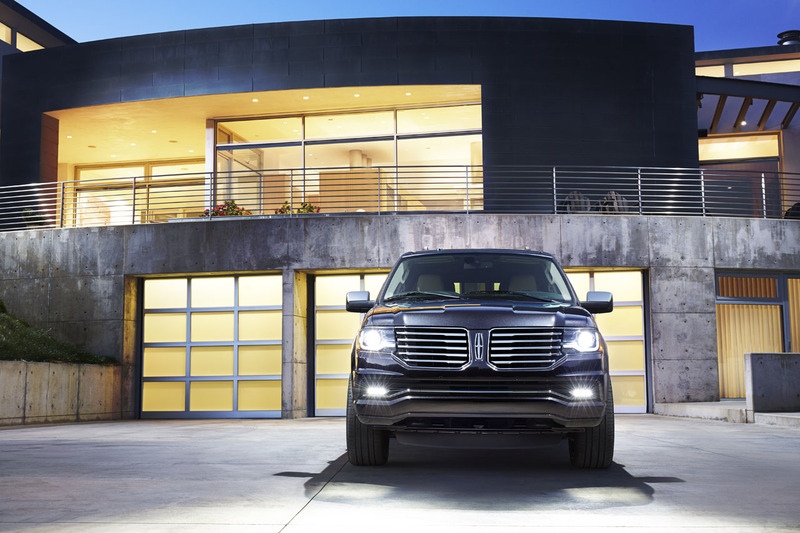 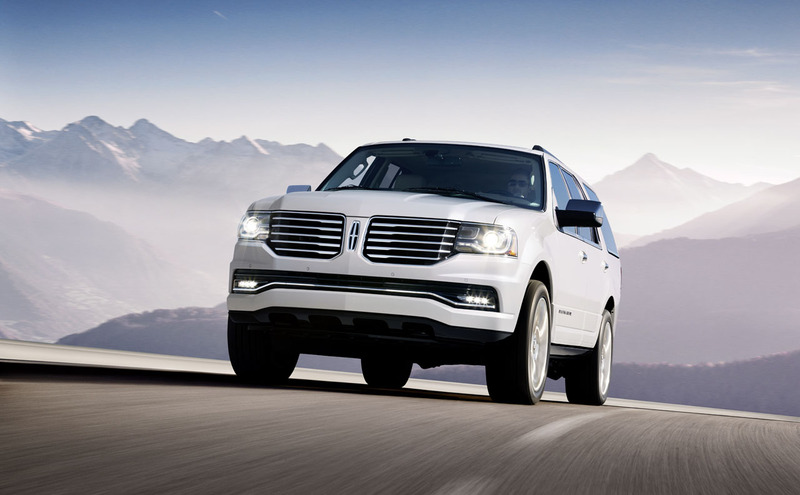 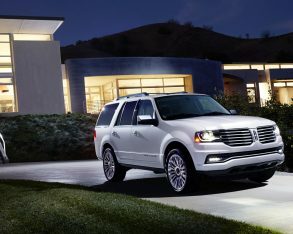 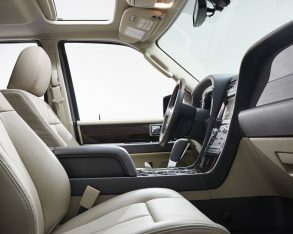 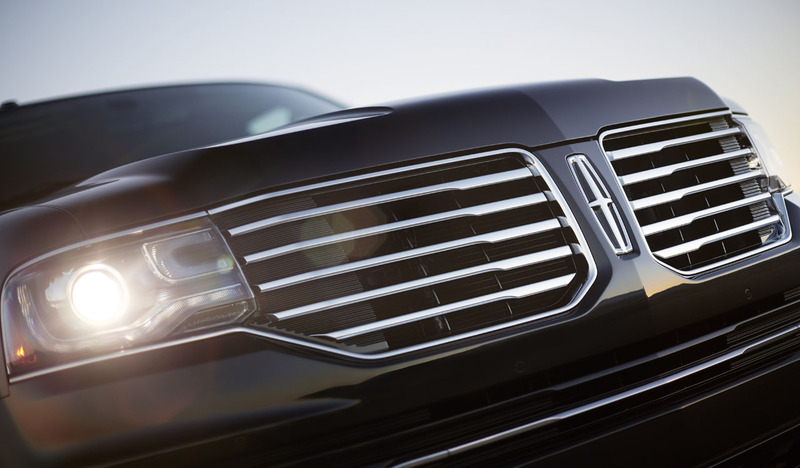 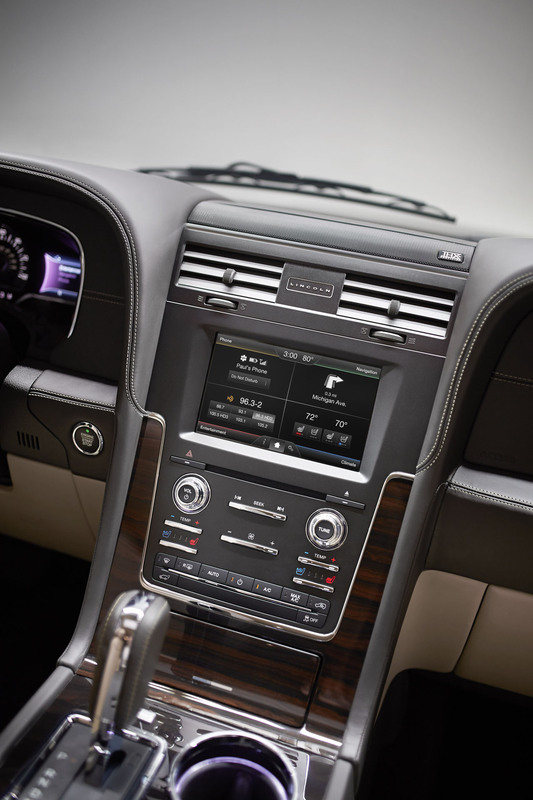 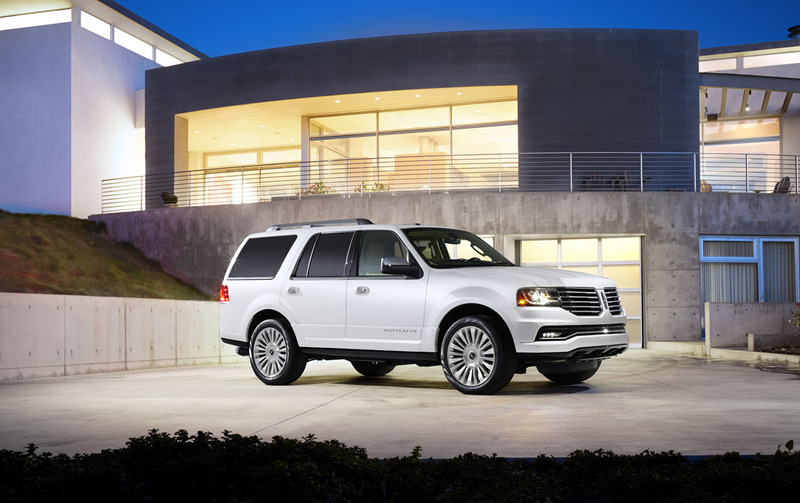 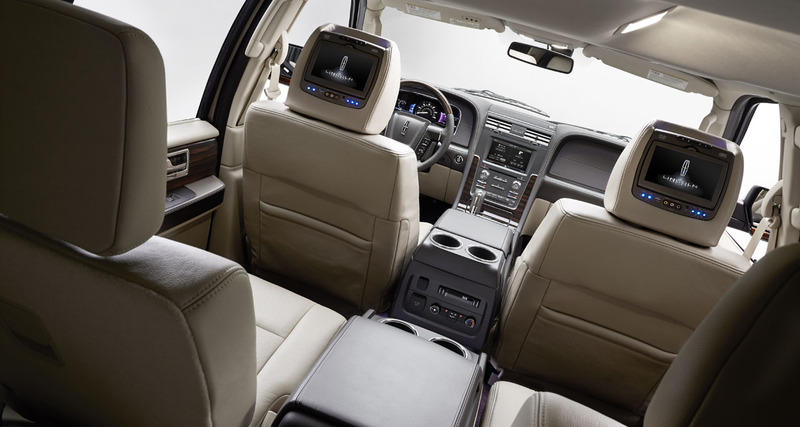 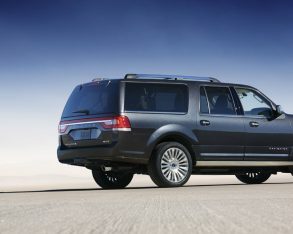 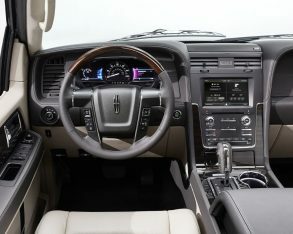 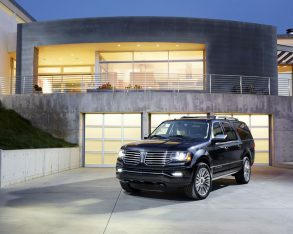 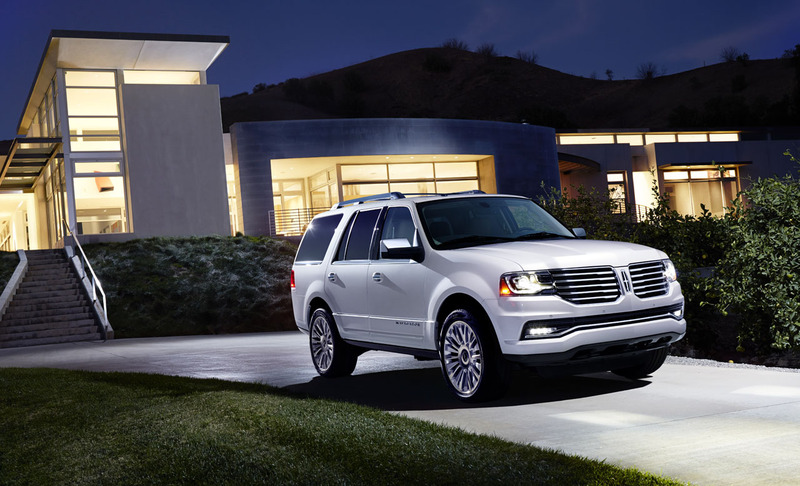 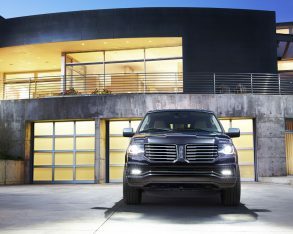 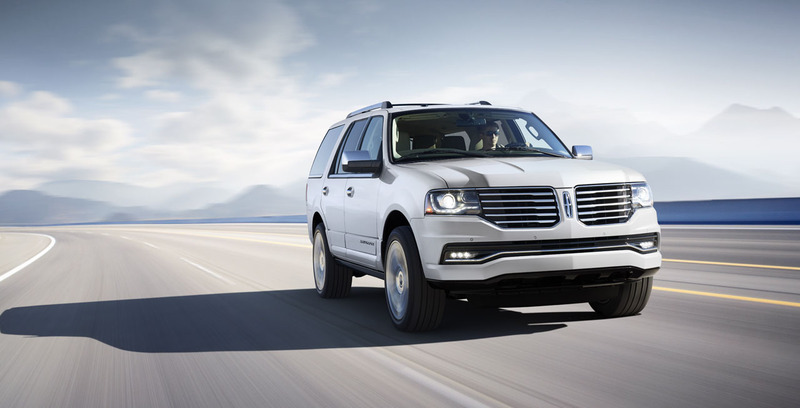 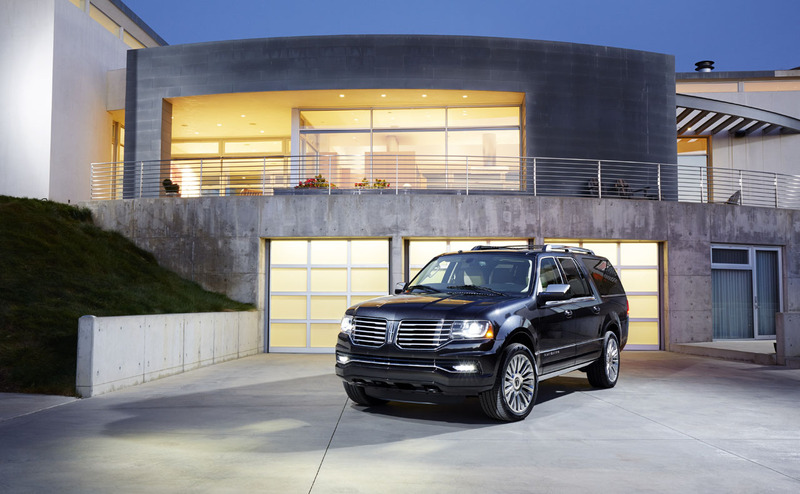 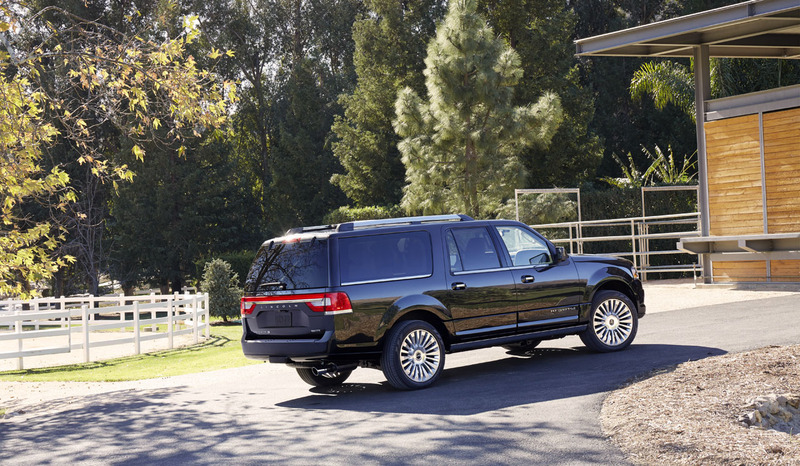 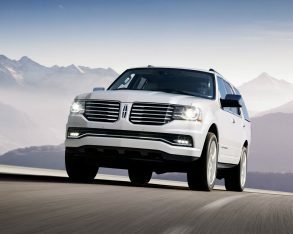 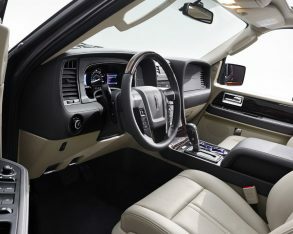 Like with other Lincoln Drive Control systems, the new Navigator will feature Sport, Comfort and Normal modes. 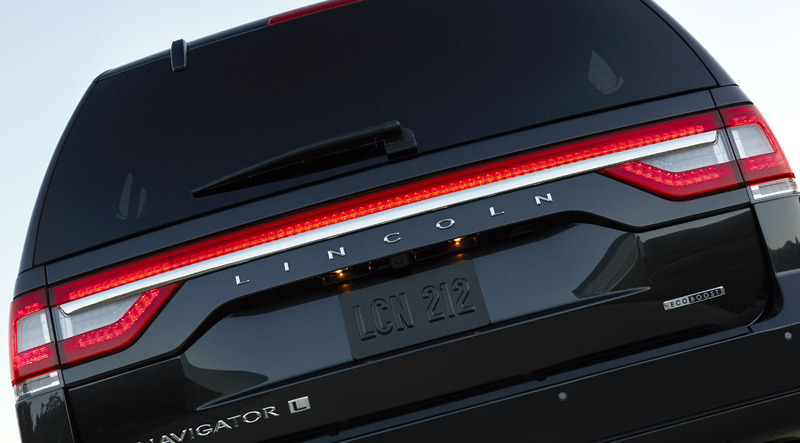 If you’re looking to trade up from your current Navigator, unfortunately there won’t be an early launch for this new 2015 iteration, with sales expected this coming fall after production begins in late summer. 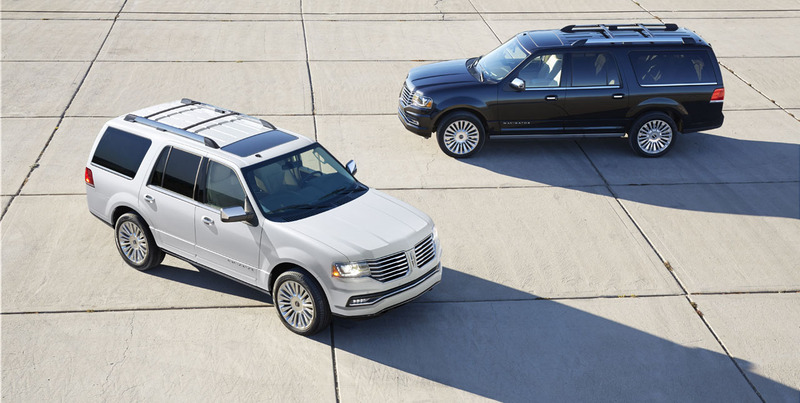 Before then, the 2015 Navigator will make its official live debut at the 2014 Chicago Auto Show in early February.